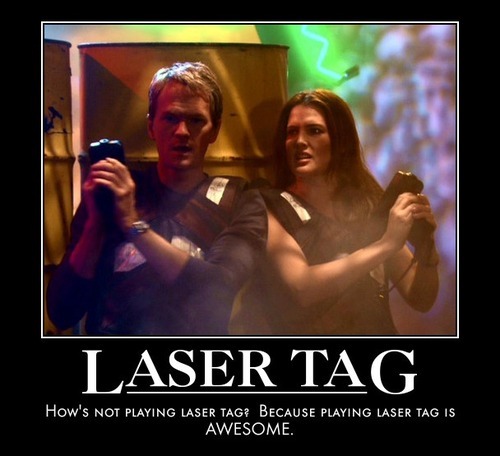 I'm going to be completely honest: I don't think I would have any interest in laser tag whatsoever were it not for How I Met Your Mother's Barney Stinson. 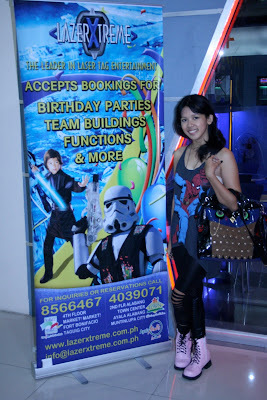 However, once I did become interested in it, I became quite a bit of a laser tag freak. That's why, when Marianne Matic of Not Your Ordinary Beautyqueen invited me to try out LazerXtreme for free, I put on my most laser tag friendly outfit, braved the commute to Market Market in Fort Bonifacio with the babydaddy and got ready to bring everybody else down with my then-non-existent laser tagging skills. Little did I know that November 3 would go down in history as one of the most fun (and most tiring) days of my life. Although other bloggers weren't able to come due to it being a weekday and the fact that there was another event going on elsewhere, I had a blast with the other dozen people I went laser tagging with - not including those lil kids who decided to join in at the last minute and kicked out butts, though... they kicked our butts. So embarrassing! Our group of laser taggers. Picture taken from Not Your Ordinary Beautyqueen. The bloggers with the LazerXtreme people - thank you so much for having me! :) The first thing they commented on was my outfit. Apparently, I completely looked the part! Haha. 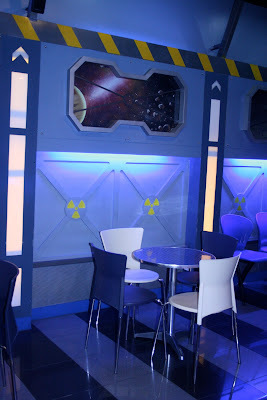 (left) The "dining area" at LazerXtreme. Food for cheap! 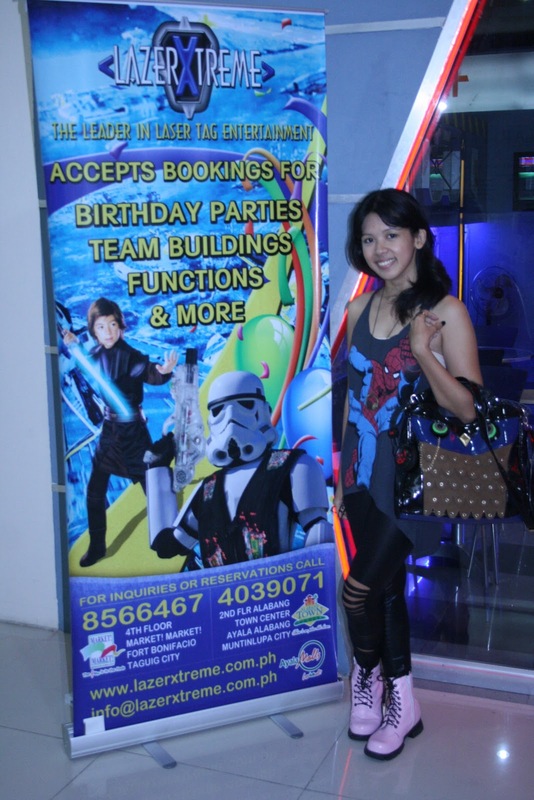 (right) Taking a photo next to the storm trooper on the poster - outfit post next time! 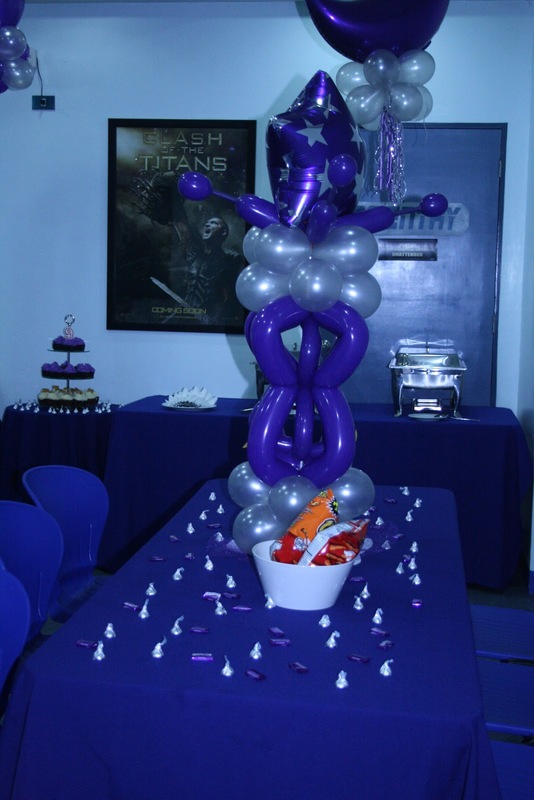 The events room. That's right. 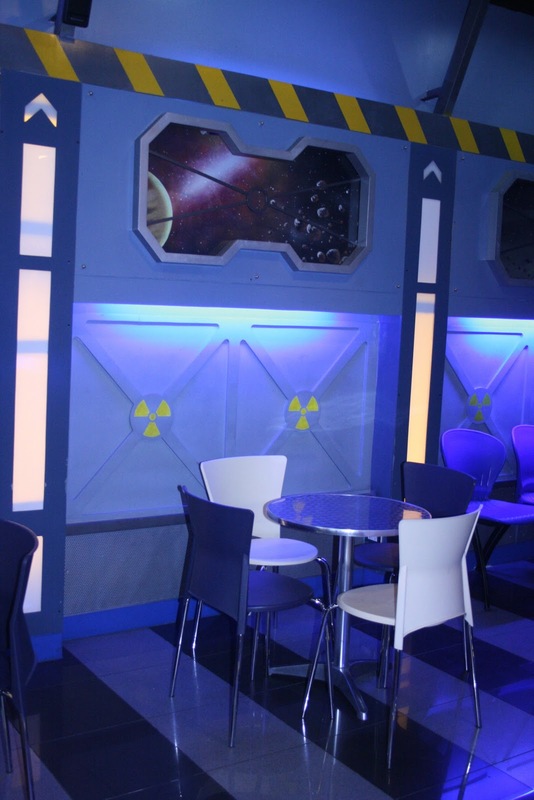 You can celebrate your birthday at LazerXtreme or have a team-building event or have a school outing or just have some fun with your friends if you want! After the instructional video, we got to choose our teams. We could either play everyone-against-everyone-else or play by teams. We played by teams. Guess which color we chose? :p PINK, of course! So pretty. Once you have chosen your weapon of choice, you activate it and find out what your username is for the game. I was hoping to be Frodo, but ended up getting the name Elijah. Haha. Close enough, right? And so the battle begun. And we sucked. Haha. I think our team came in last? I blame it on the lil crazy expert kids who played with us and kept killing me and the fact that I had no idea how to work the gun until 5 minutes in and the fact that this was the most exercise I had had in MONTHS. No. Seriously. 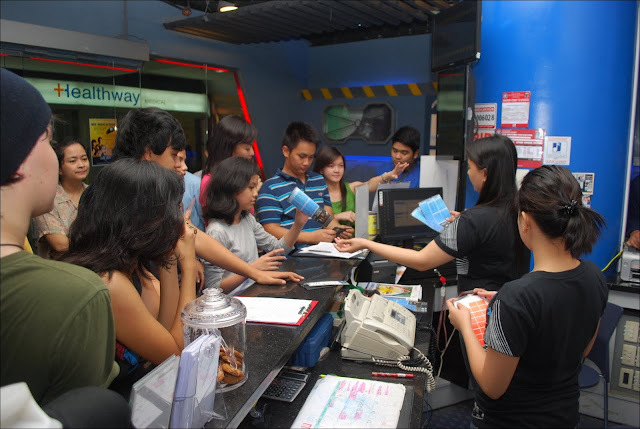 We all came out sweaty and tired after just 15 minutes of laser tag. And to think, I was complaining at first and asking "Only 15 minutes?!??" Well, 15 minutes is enough. Trust me. I have pictures of the room itself where we played, but they simply don't do the place justice. In real life, the game is really fast-paced and the paint on the walls is glowing and it's just... mesmerizing and downright awesome. Think Star Trek meets Counterstrike. Boom. would totally pay for souvenir photos. Photo taken from Not Your Ordinary Beautyqueen. After the game, we all got a scorecard (don't ask what my score was - it was bad! :p) and the one with the highest score got free iced tea! Naturally, that was Michael, Mar's cousin. Who killed me. Multiple times. See, every time you get shot, you're out for like 6 seconds. And he'd just follow me around and wait for the 6 seconds to end to kill me again. Yes. I'm full of excuses today, I'm afraid. But fear not. One day, I shall have my revenge! Bwahahahaha. Ahem. Anyway, overall, LazerXtreme was an experience that can really only be described with one word: LEGEN... wait for it... DARY. LEGENDARY. 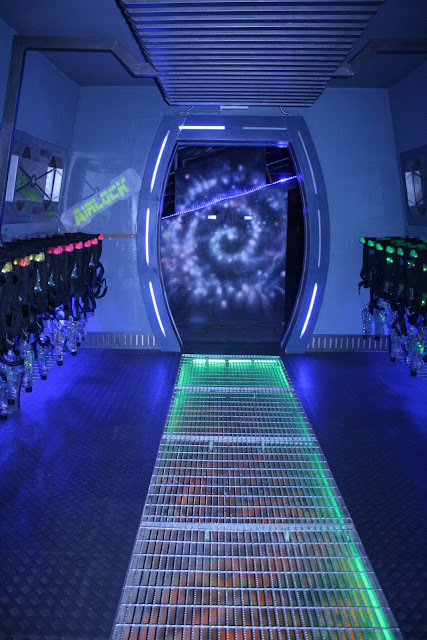 To find out more about the different packages and games that LazerXtreme has to offer (they also have Laser Maze and GolfXtreme! ), visit their website here. 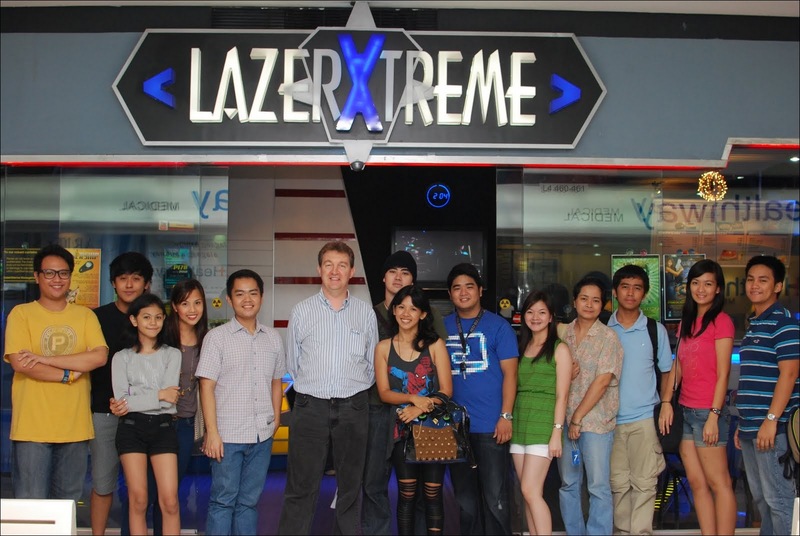 You can also follow LazerXtreme on Twitter and like them on Facebook. 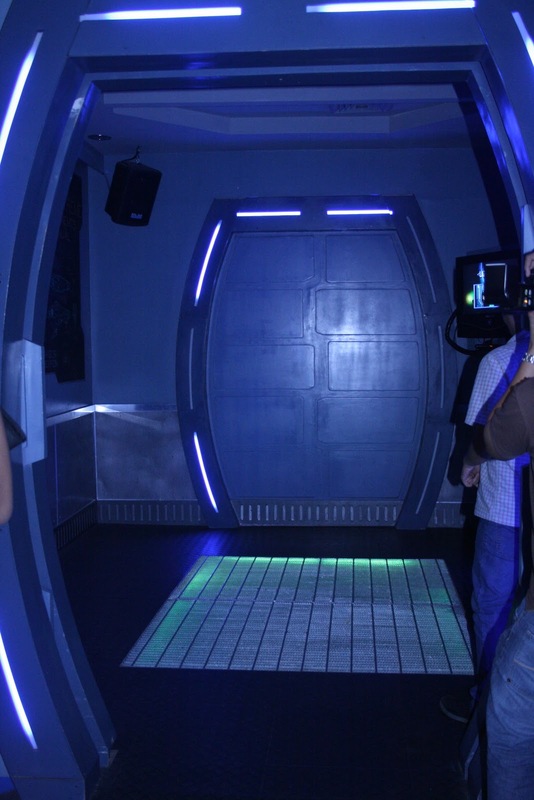 great post about laser tag! Your are so cute... I love your leggins! Hey combat girl! hahaha! it was such a great experience!! Lets have one again soon! I ATC maybe? hahaha ;) You'll never know! Thanks for joining, Love! omg! 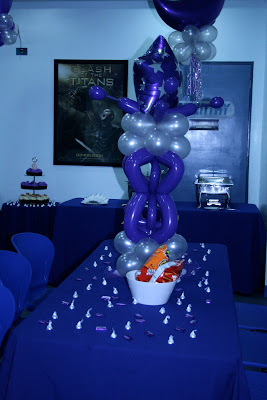 mukhang ang fun :DD i wanna try it sana meron pa some other time . LOL :))and ill try to ask you to be my date :D HAHA! Haha so funny how I met your mother. If there'd be a lazertag event in ATC, please please invite me! Hehehe :D Great post! 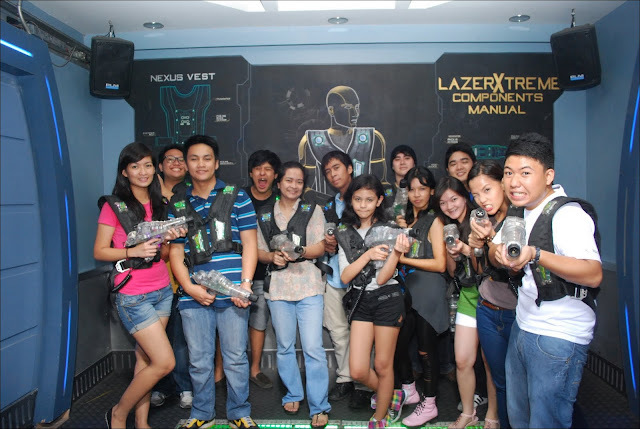 I went laser-tagging last June with my former teammates also in LazerXtreme in Market! Market! and I had sooooooo much fun! I felt like I worked out after every round.